Yes, I know which platform I’m writing for. No, I haven’t had too much wine. Yes, I am serious about this topic. In the last week, I’ve had two interactions relating to wine assessment that got me questioning the intrinsic value of the exercise where it involves an impressive and/or annoying descriptive tasting note. I happened to post an image of a bottle I rather enjoyed to Instagram, with a couple of phrases which hardly amounted to anything of real value or depth. Someone left a comment which basically amounted to them saying how relieved they were that they didn’t need to think so hard about wine all the time. The second interaction was with a friend who drinks wine and enjoys wine but says he’s flummoxed by the whole “description thing”. We’ve spoken about it many times, he’s asked all his questions and he’s tried to hone his tasting skills but he just doesn’t get it. And it’s fine. He knows what he likes and that’s all he needs. Despite giving understanding wine assessment a good go, he just doesn’t get the relevance. Are these intense, detailed and descriptive tasting notes, points, scores and evaluations ultimately killing it for 90% of the people we are trying to sell the wine to? Probably. But that fodder for an entirely different article. 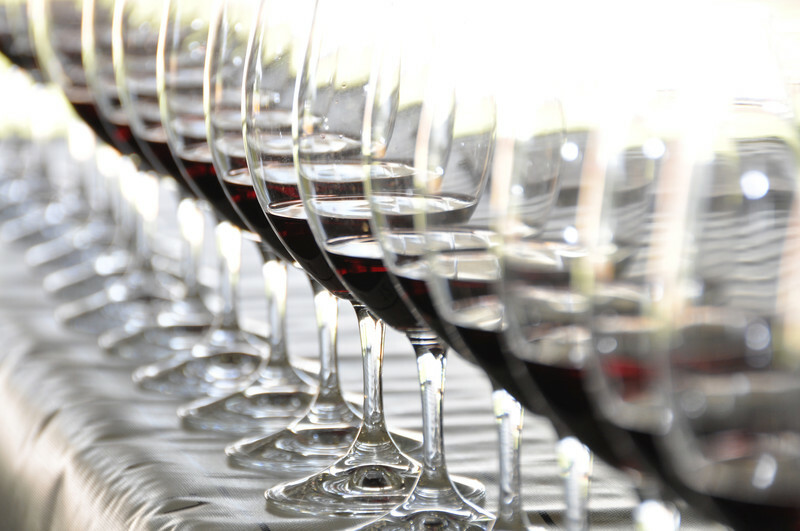 The virtues and pitfalls of descriptive tasting (especially blind tastings) have been examined before many times, by many different people and from many different angles. One of the most notable is the more scientific approach taken by a retired oceanographer, Robert Hodgson. Hodgson has owned a Californian winery for nearly 40 years. He started investigating the consistency of wine judges’ scoring since 2000. With the blessing of the organizers, he presented judges with the wine from the same bottle multiple times and measured the discrepancy in the scores they gave – some differed by as much as 16 points. Ouch. Other experiments in the weighted effect of bias had a large number of winemaking students taste and describe two wines: a red wine and a white wine. In reality, it was the same white wine but the “red” glass had food colouring added. Without fail, they used typical red wine descriptors to describe the “red” wine and stuck to white wine descriptors for the white. Researcher Frédéric Bouchet tested the effect of wine labels on perception in 2001, presenting a Bordeaux Superior wine to a number of tasters, a week apart. It was presented as a grand cru and then as a table wine – and their scores reflected what they were presented. You have to admit, that seems to dent the credibility of the whole matter somewhat. That being said, I have to wonder if it really matters? So what if it’s not an exact science? So what if it’s not repeatable? Even though I don’t buy into the biodynamic bunk of fruit and root days and so on affecting how wine tastes, there are limitless reasons why subsequent tastings of the same wine – whether five minutes, five hours or dive days apart – wouldn’t yield the same results. Alex Hunt wrote a column for Jancis Robinson’s website in which he addressed a few “tasting experiments” which seemingly torpedo the credibility of descriptive, professional wine tasting (see here). Initially, I would argue that if you are in a position to heavily influence a market in the way that some wine tasters undoubtedly are, then your “skill set” should probably be as far beyond reproach as possible. But does it matter? Hunt – quite rightly – argues that the same standards aren’t really applied to critics of art or cinema – at least not in the same rigorous context. If anything, people who complete WSET and similar courses, or go as far as becoming master sommeliers, have a wider body of knowledge on the subject matter than most experts in other fields. As with the endless debate around the relevance of wine scores, this isn’t one of those topics that will ever reach a firm conclusion. It doesn’t need to. Just a little recognition that the ability to use descriptions like cigar box, cat pee and wet dog correctly – while impressive – doesn’t matter to most people. Hi Marthélize, I’m sure you’re quite right that in-depth wine assessment doesn’t matter to most people and nobody should feel inferior as a result. What I do find curious, however, is when people make a virtue out of ignorance. I don’t know much about classical music, for instance, but I feel this is to my detriment and I’m sure my life would be enriched were I to invest the time to learn more. I agree with you there. The Instagram comment particularly felt to convey some sense of “I’m so glad I can just enjoy wine without having to try so hard”. Which isn’t how most people experience it at all. There are, of course, the pretentious lot out there that will *always* labour the entire exercise, which is also off putting. But they’re in every discipline. E.g. people trained in classical music tend to dump on outfits like 2Cellos and The Piano Guys because they pander to popular tastes. i would say the point is not that these people make a virtue out of ignorance – they question whether there is something valid to be informed on. Really enjoyed this article as it speaks to a nagging suspicion we’ve had for years. While the skill of identifying the subtle scents and flavours is desirable and finding the right creative adjectives impressive, it’s not everyone’s cup of tea. Or rather, glass of wine. Instead we have binned the traditional scoring systems and devised a simple rating out of 10, based on which situations you’d find yourself wanting to drink said wine and with whom. HI Marthelize, I am currently doing a similar wine project for a M Tech in Business Administration at CPUT and really enjoyed your article – a new perspective, but something I suspected for some time now. First worked at KWV after finished my Hons B.Sc at US in Wine Biotechnology – also did a wine tasting experiment with “credible” winemakers and caused much havoc. Would like to have further communication with you. Is it possible? Would appreciate if you can provide contact details.